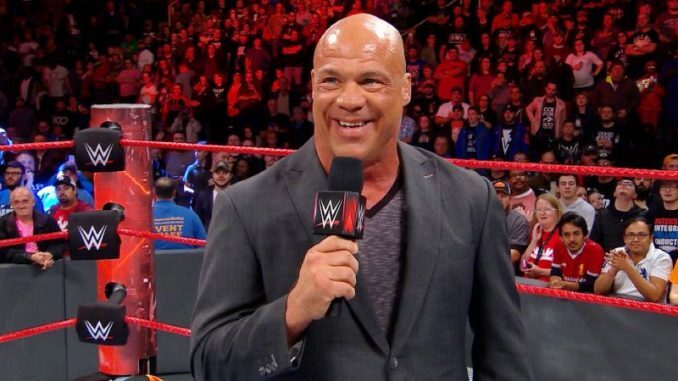 On Monday’s episode of Raw, Kurt Angle announced his opponent for his retirement match at WrestleMania would be Baron Corbin. The reveal was met with a negative reaction from the audience at the Allstate Arena in Chicago after a week of speculation regarding the identity of Angle’s opponent. Corbin came out after the match and said it doesn’t matter what Angle has done in his career, the fans will only remember what happens in his final match. The announcement was followed by Angle defeating Chad Gable and receiving a chant of “Thank you, Kurt” after the match.